Scanners are a popular way to make paper disappear. 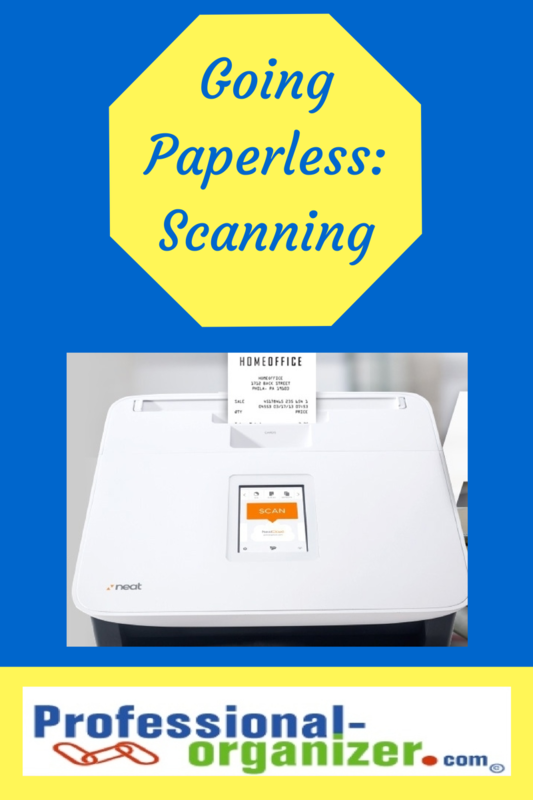 With more affordable scanners, many homes and offices are purchasing these as an alternative for paper files. You can scan paper, expenses, receipts, photos and more with a scanner. It’s a great way to eliminate paper clutter and its easier to find information too! There are many options for scanning. The apps GeniusScan and DocScan are available on you smartphone. Fujitsu and Neat offer portable wand scanners and desk top scanners. Multifunction machines are equipped with flat bed and feed scanners. The most important part is to get started right away by hooking up and testing your equipment. Many times I find equipment still in boxes years after purchase. Just jump in! Getting a good system in place makes organizing easier. Start setting up a consistent folder system before you scan your first document. Write out a list or create a mind map of the information to retrieve in your documents. Like with paper files, more general folder names are best to start. Inside these folders you can create more specific files. This is just a sample of categories to get you started. Set up consistent naming of your documents. 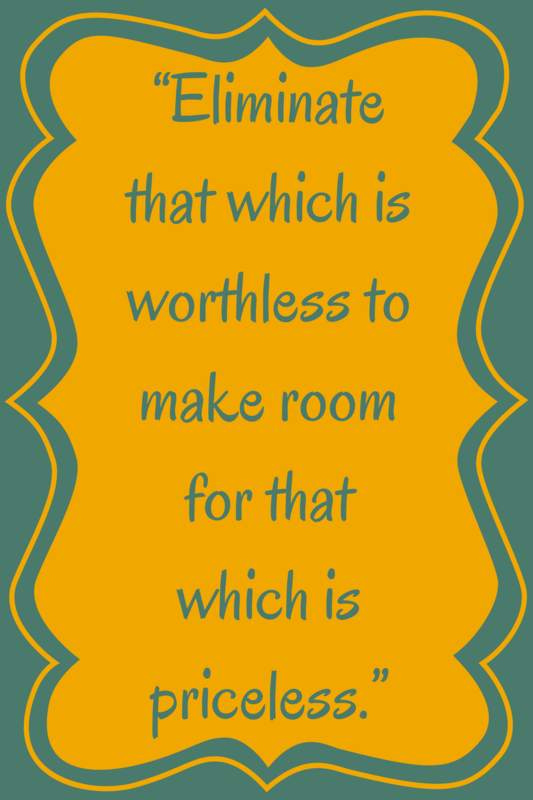 Write out your options and decide on one naming convention. You will be glad you took the time to create a plan for this. Some examples include starting with the more general, to the more specific, and maybe with a date. Not all paper needs to be scanned. Using the triage method, go through your mail, kids’ papers, receipts and other papers to decide what will be scanned. Establish a bin, folder, or tray for items to be scanned. By designating this spot, you are creating a baby step to get started scanning. The best organizing revolves around good routines. Now that you know what you want to scan, set aside time once a week or once a month to scan. Mark your calendar to remind you of your “appointment”. This is also a task that can be delegated to your high school student. It’s important to have your computer backed up regularly. You can use a cloud based service like Carbonite or an external hard drive. Either way, nightly back up is best. You will be sure your documents are safe. As fun as scanning is, try not to over do the fun! It’s hard not to scan too much, but less is more! Daily dose of organizing fun! “Like” my page and click “notifications on Facebook. Don’t miss a minute of organizing or productivity tips! Join my newsletter. https://professional-organizer.com/WordPress/wp-content/uploads/2016/07/logo.png 0 0 Ellen https://professional-organizer.com/WordPress/wp-content/uploads/2016/07/logo.png Ellen2014-09-21 20:23:352014-10-07 07:27:29"Eliminate that which is worthless"
You cringe as you realize your small business tax deadline is here! Wasn’t it just April and you realized that the 15th was around the corner? Postponing tax filing was an easy decision to make. And now ~ it’s the real deadline. It’s a necessary evil, but it can be easier. 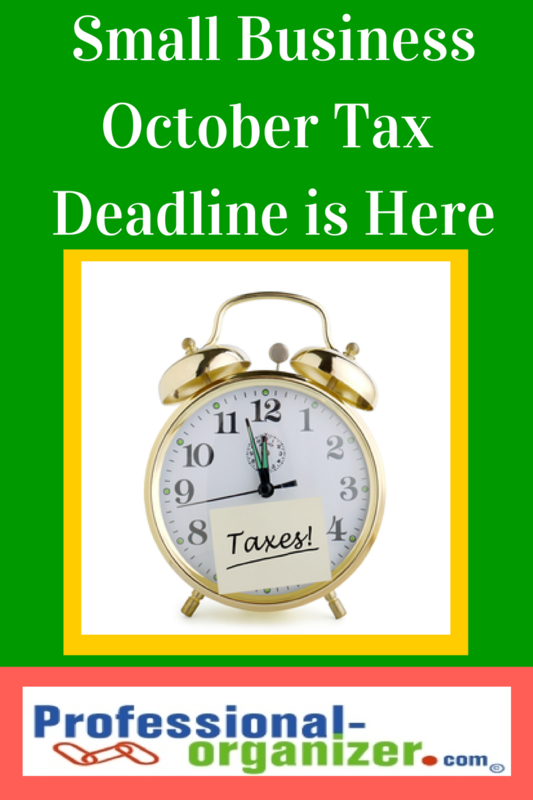 The October 15th tax deadline is just around the corner. The first step is always knowing what you need. Some of this information can sound like a foreign language. Do a little research and start with a checklist for these papers can help. Filing status is different for many small businesses. For corporations, an Employer Identification Number (EIN), also known as a federal tax identification number, is used to identify tax reports to the IRS. For sole proprietorships, use your social security number. Expenses can be found in your credit card purchases, debit and bank statements, and vendor statements. The IRS has many resources to help you decide on small business expenses. It may be difficult to gather these papers together. However, with online banking and online access to your credit card statements, you can consolidate this information. If you use QuickBooks and have gotten behind, you can download information to your banking and credit card accounts instead of manually entering it. It may feel completely overwhelming to gather all your information. Not to worry! There’s help at hand! Professional organizers and Daily Money Managers often come in to assist you in gathering all this information. Your accountant can send you a tax worksheet from previous years to remind you about this information. Keeping a digital copy of this information can ease your stress too. Neat Receipts or Neat Connect (sponsored link) scan in your information and help you with tax categories. As you find receipts in your papers, scan these and categorize. Keep all your information together and accessible. Scanned information can also be exported into QuickBooks, TurboTax and Excel. Struggling with your personal taxes too? It’s the October tax deadline, but with a few other papers to find. However, these same online and digital resources are available. Sad to see summer go? Tired of the heat? Happy for the change of seasons? Looking forward to that first fall day? It’s that transition time, mostly known as Indian Summer, where we welcome fall. Take advantage of this transition time by organizing at your home and office. 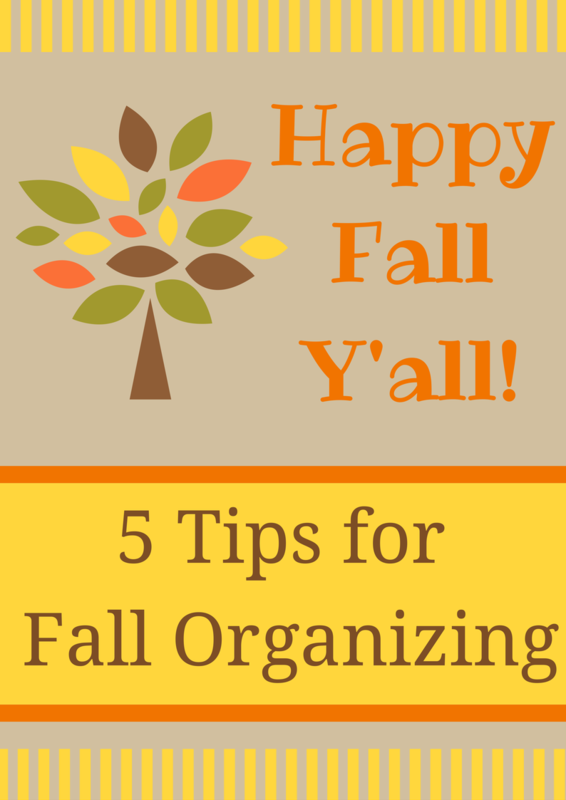 It’s time for fall organizing! It’s time to start and end activities. Put away your summer swim bag, the sunscreen and goggles. Create a bag or notebook for kids’ school papers or new responsibilities like homeroom mom. Right away you will have a spot for all those papers. Freshen up your clothes. Look through your closet and let go of clothes you did not wear this season. Put them in a shopping bag and immediately drop these off at a donation location. Do the same for your kids clothes and get their drawers in great shape for school time. Everyone will be happier and less stressed getting ready in the morning. Host your family meeting and go over family responsibilities at home. Perhaps chores got lax this summer or everyone wants to shift chores. Take 15 minutes to write out your chore chart and place it where everyone sees it each day. Include homework time in your chore chart daily. Plan some end of summer fun and check in about upcoming Halloween plans for your family. Set aside an hour to freshen up your office. It takes just a few focused minutes to eliminate all the extra paper and other stuff that has accumulated this summer. It could be shoes to take home, resources you no longer need or books to return to colleagues. Taking just an hour to refresh your space helps you be more efficient and effective at your desk. 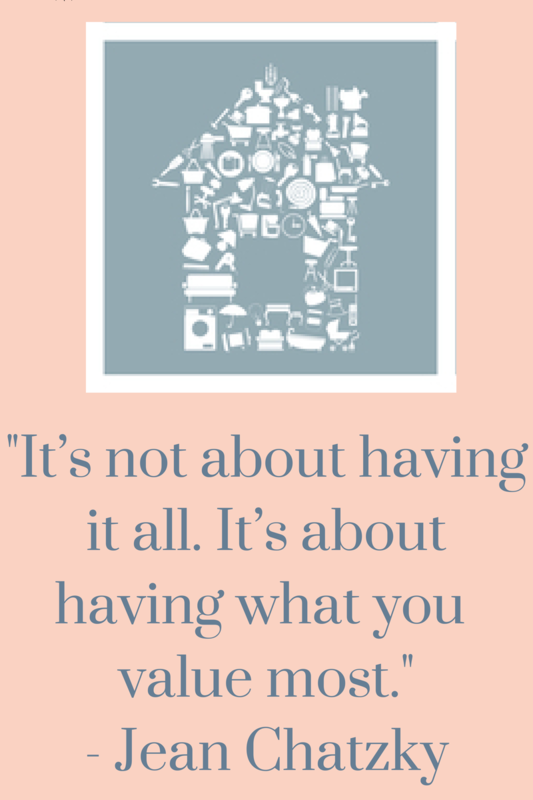 Think through your daily routines at home and work. Start a new strategy for handling the biggest time takers, such as email and paper management. Decide on a pattern for when and how long you will get these tasks done daily. Getting a fresh perspective and a great routine helps you get these tasks done more easily. The change of seasons helps us take advantage of refreshing our spaces. It energizes our organizing! Join my newsletter to keep posted on monthly organizing and productivity tips. You don’t have to struggle with so many papers. In a recent survey by Neat, 57% of workers reported frustration with paper and believed there are better paper management tools. 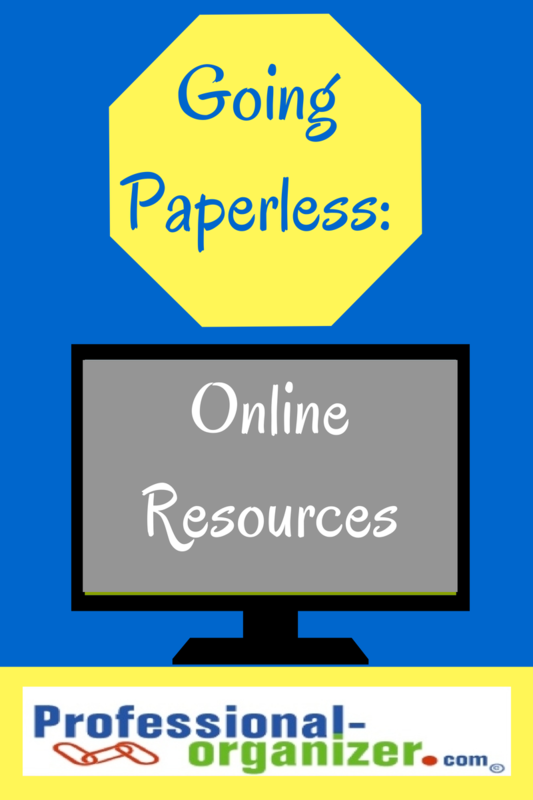 There are many online resources that help you start going paperless. Computer and smartphone apps make it easy to share documents, work from a common agenda, collect personal documents and keep receipts for taxes. Check out these 8 resources for going paperless. Automating your paper management can resolve your paper challenges. File this Fetch automatically collects, files, tags, and organizes your online documents, bills, and statements in an easy to use digital filing cabinet. Each month it “fetches” your documents and loads onto your computer. Remove paper clutter by scanning your receipts with the Shoeboxed Receipt and Mileage Tracker. Simply snap a photo of each receipt with your phone’s camera and it will be digitized and uploaded to your Shoeboxed account. Let go of receipts once these are digitized. Genius Scan is a camera-based document scanner for the iPhone. It enables you to quickly scan documents on the go and email the scans as JPEG or PDF with multiple pages. Easy way to share documents with your colleagues, team members or other parents. Scan a picture with your smartphone camera. Export your documents to Dropbox, Evernote, Box.net, SkyDrive, WebDAV, and Google Docs to save them. Dropbox is a free service that lets you bring your photos, docs, and videos anywhere and share them easily. Upload this tool to your computer and use it to save photos, files and folders. Share information with colleagues, friends, and family by sending a link. Share documents between your laptop and your desktop too. Create digital notebooks on your smartphone and computer. Write notes to yourself, collect information from scraps of paper, or send notes to your clients. Whatever paper you want to eliminate and whatever information you want to keep, Evernote can keep it for your digitally. Share files and information with your team. With Google Docs, a free service run through Gmail, you can work simultaneously with colleagues on a document or spreadsheet. Create and share your work online and access your documents from anywhere. Manage documents, spreadsheets, presentations, surveys, and more all in one easy to use spot. Google docs is great for virtual meetings and agendas too. NeatConnect scans paper into digital files and sends them straight to the cloud – without a computer. At home or at the office, NeatConnect uses the Neat Desk to scan receipts, tax documents, and other important papers. Access these documents from wherever. Choose one of these resources to help you get started going paperless! Not sure what to scan? Check out this resource. More ideas on paper management on my pinterest page Paper, Paper Everywhere.